It’s the most wonderful time of the year! November and December are my happy months where I plan and prepare for the holidays. This year we are starting a new tradition where we are hosting some of our neighbors for dinner. We love our neighborhood and are very thankful for the relationships we have built in the last few years. It seems fitting to have some of our neighbors over for dinner. When we host friends and family, I like to make them feel special. 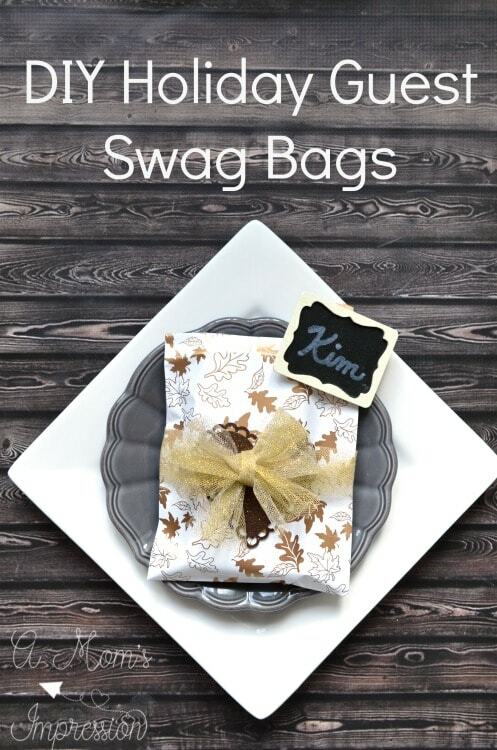 One way I do this is by creating and gifting “swag bags” for each guest. The swag bags don’t have to be too fancy, just a little something for everyone to enjoy. With the holiday season approaching, I am thinking that it’s the perfect time to gift small holiday gifts that my friends and family can use over the next couple of months. Making swag bags is simple. You just need to gather a few things. A small bag. 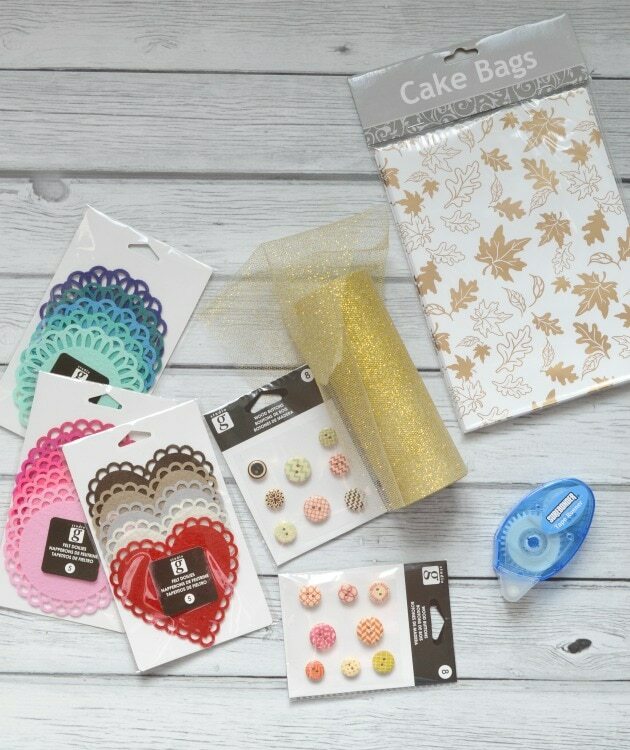 I like to use cake bags because they are the perfect size to set on a place setting, they come in a variety of prints and they are inexpensive. Decorations. This is where your creativity comes into play; you can decorate and bedazzle the bags anyway you want to. I like to add some tulle and fun accents to make it beautiful. I attached buttons and a felt heart with a bit of scrapbook tape. 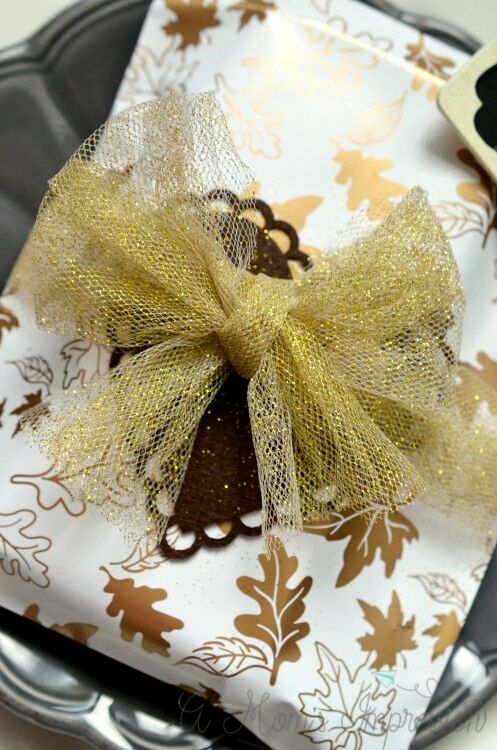 I then tied some fancy gold tulle around the package. The tulle is easy to work with and looks amazing. I highly recommend it over ribbon, but if you just have ribbon that will work too. Gifts. You can’t forget the swag! Adding little treats into the bag is what makes this special. I like to think seasonal and find some fun little gifts for each person, no two bags are alike. This month I am gifting a variety of SC Johnson brand products to help get my guest’s homes ready for the Holiday season. 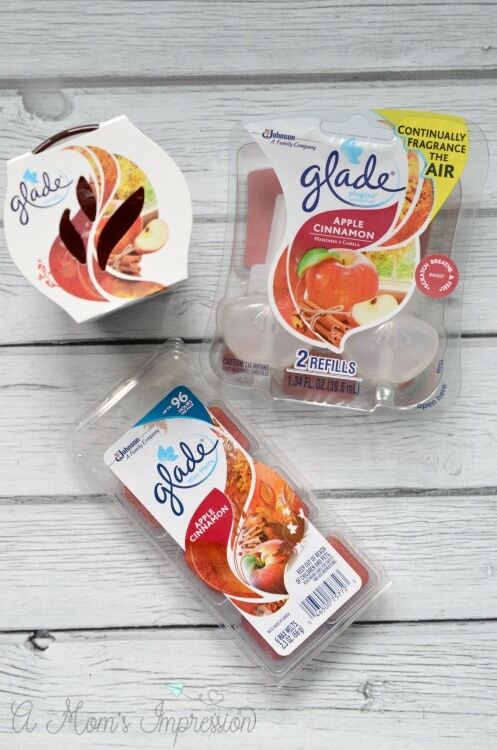 I love Glade® products, especially during the holiday season. Having your home smell like the season is an excellent way to get people in the holiday mood. 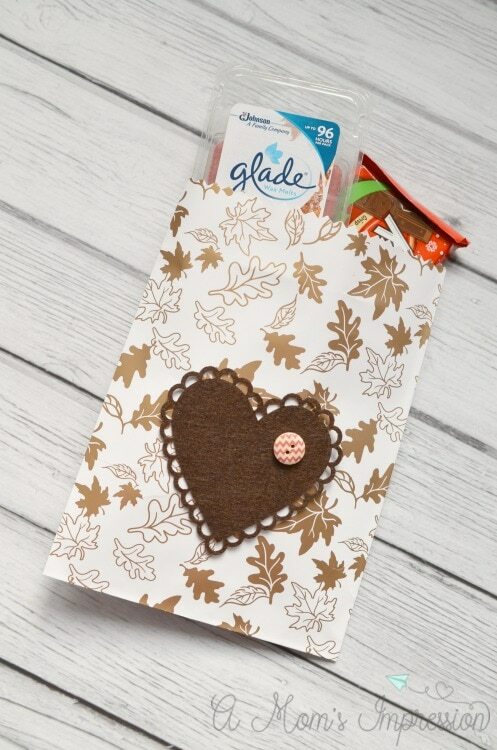 This past week I picked up some of my favorite Glade® products while shopping at Home Depot. For the holiday season, nothing makes me feel more joyous than the smell of apple cinnamon. Glade® has me covered with a variety of products including room sprays, candles, PlugIns® Scented Oils and wax melts. I added these products plus a few sweets to my swag bags. I know that my guests are going to love them! 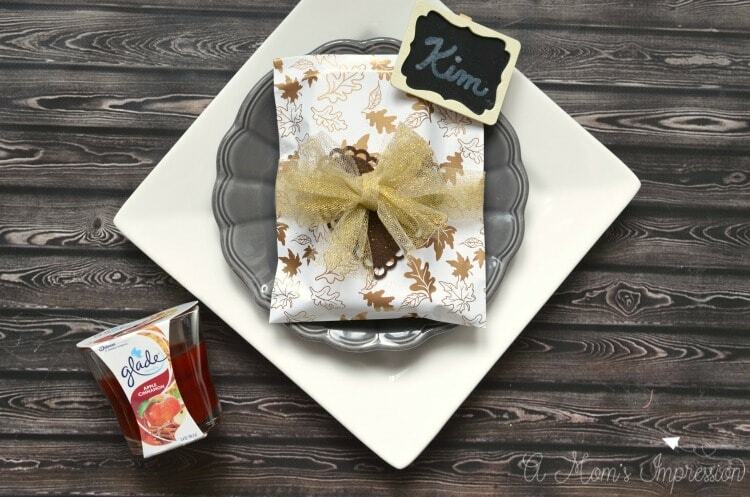 Finally, wrap everything together and add a name tag for a personalized place setting. My guests love taking home their swag bags after a fun dinner with friends. I am excited to host several holiday events in the next couple of months. I hope you guys are too! Visit the Social Fabric Holiday Hub for more Thanksgiving ideas! 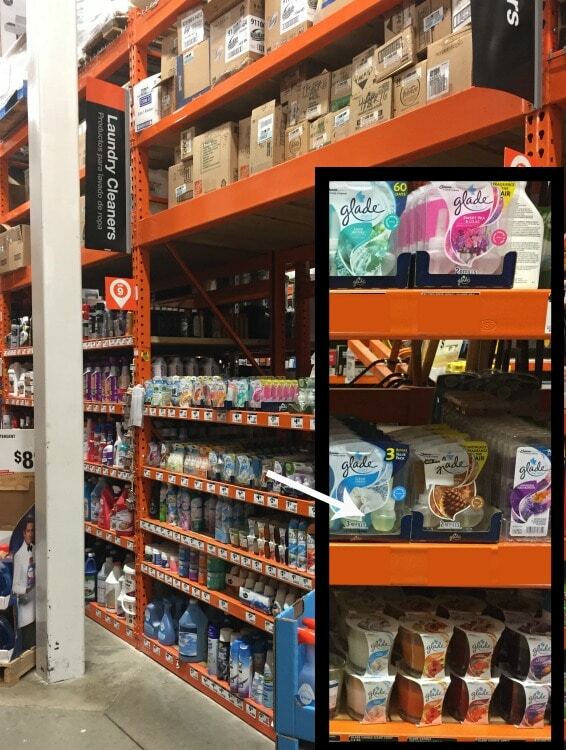 You can find Glade Products in the cleaning section of Home Depot.